Break a sweat…not your routine! 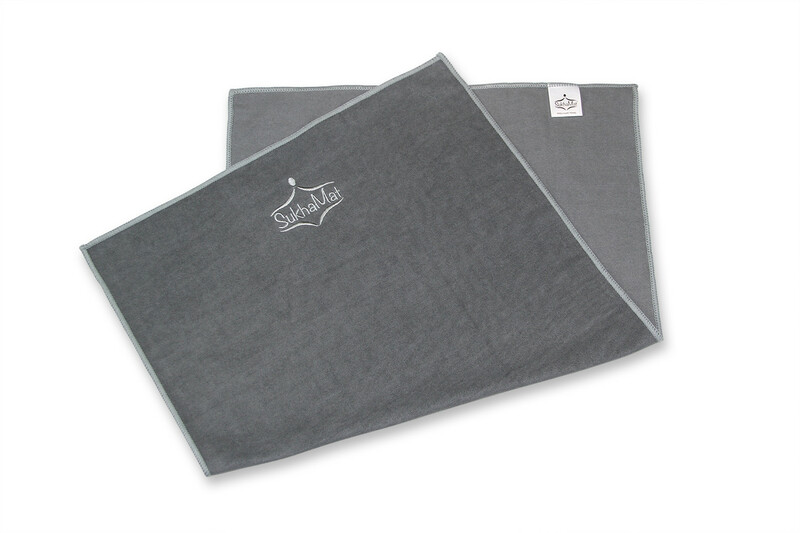 Our SukhaMat Hand & Face Yoga Towel is the perfect, convenient way to manage moisture during your yoga practice or any exercise. Our moisture-wicking towel fabric is ultra absorbent, yet fast drying to help alleviate the “sweat threat” and maintain stability, safety and peace of mind during your yoga routine. 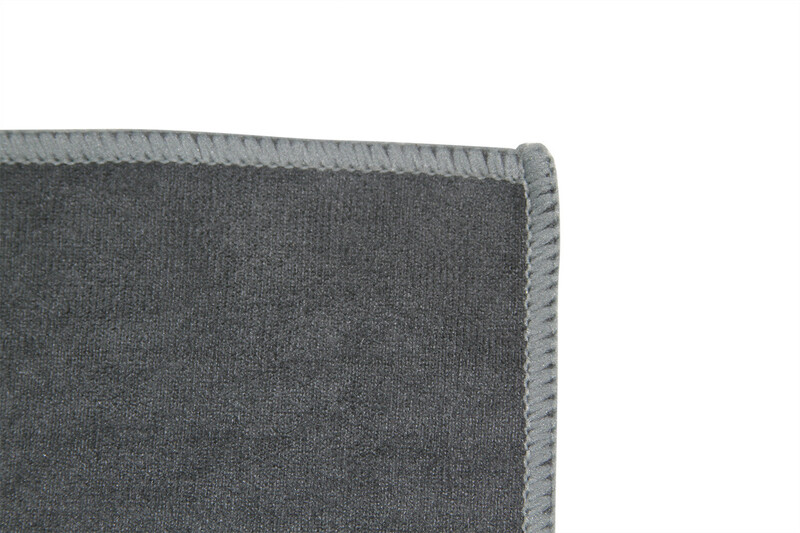 Made of 100% microfiber, our towels are SGS-tested to ensure maximum quality, performance and reliability. 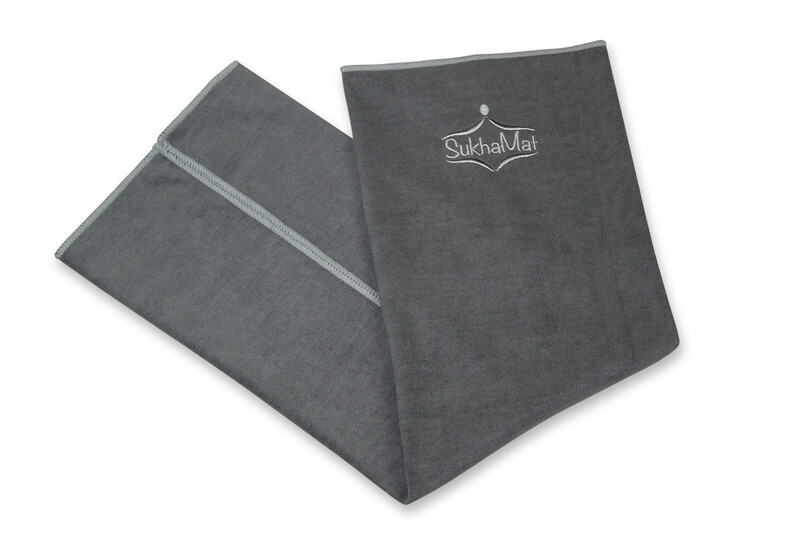 Care of your SukhaMat Yoga Hand & Face Towel is easy: machine wash in cold water and hang to dry. And our towels come with a LIFETIME GUARANTEE! If your towel ever rips or shows signs of wear, we’ll replace it at no charge or give you your money back. 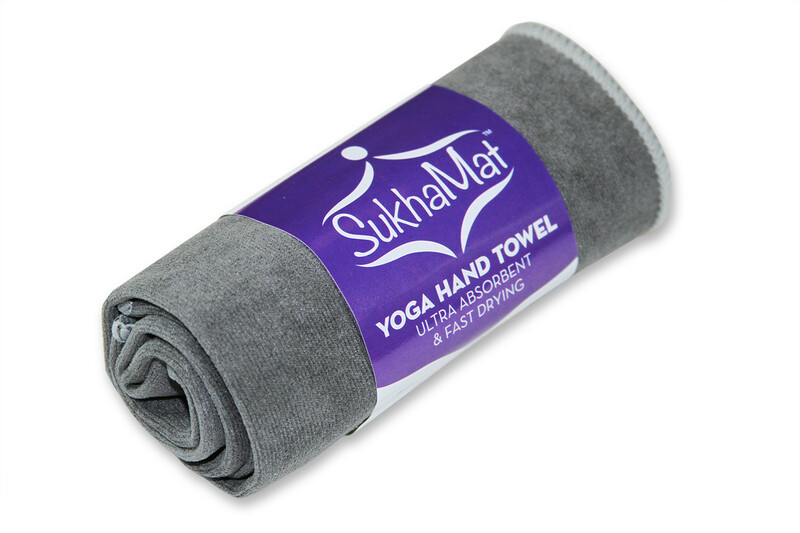 ULTRA ABSORBENT & FAST DRYING: The SukhaMat Yoga Hand & Face Towel is made of SGS-tested, 100% microfiber moisture-wicking material to soak up sweat without having to rub or wipe your face. Dries fast… so it’s always ready to help keep your workout moving smooth and distraction free! IDEAL FOR YOGA, SPORTS OR EXERCISE: The 100% microfiber, moisture wicking cloth, makes it the perfect hand & face towel to keep you dry during yoga class or any exercise routine. HAND & FACE TOWEL DIMENSIONS: 16″ x 26.5″ & 3.2 oz. EASY CARE MAINTENANCE: Machine wash in cold water with like colors and hang to dry. LIFETIME GUARANTEE: If your towel ever rips or shows signs of wear, we’ll replace it at no charge or give you your money back.